It was in the 1955-1956 season that three adult Western television shows debuted on American television: The Life and Legend of Wyatt Earp, Gunsmoke, and Cheyenne. All three shows proved highly successful, so much so that they inevitably led to many, many more Western TV shows on the broadcast networks. In most cases the heroes of these Westerns were either brave, stalwart lawmen or brave, stalwart drifters (who often differed from lawmen simply in that they weren't professionals). It was in 1957 that a show debuted that would break the mould of television Westerns at the time. 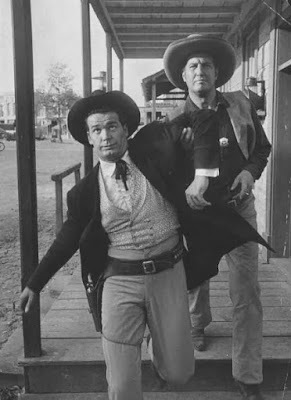 Maverick centred on the Maverick brothers, Brett (played by James Garner) and Bart (played by Jack Kelly). The Mavericks were gamblers by profession and preferred to get out of situations using their wits rather than guns or fists. In fact, they generally avoided fighting entirely when it was possible. While they were honest for the most part, they were not below using deception against those who were not particularly honest themselves. The Mavericks were a sharp contrast to the many lawmen, gunfighters, and drifters that populated most Westerns on American television at the time. Given the Maverick brothers were a near total inversion of the archetypal Western hero, it should come as no surprise that the show was often humorous in tone. It was not unusual for the show to send up various Western conventions and even cliches from other genres in its episodes (for example, "A Cure for Johnny Rain" spoofed popular police procedural Dragnet, right down to its narration). It was then perhaps inevitable that Maverick would parody one of the oldest and arguably the most popular Westerns then on television: Gunsmoke. "Gun-Shy" was an absolutely merciless parody of Gunsmoke, poking fun at the various formulas the show had already developed by 1959. It was written by Marion Hargrove, who contributed several scripts to Maverick over the years. He had begun his career as a novelist, his bestselling See Here, Private Hargrove having been published in 1944. He had a knack for comedy, and would later write the screenplay for The Music Man (1962) and co-write Boys' Night Out (1962). "Gun-Shy" finds Bret Maverick in Elwood, Kansas, where he is trying to find a hidden Confederate treasure. Unfortunately, while the local marshal will tolerate visiting cowboys who get drunk ("..that's what the town's here for"), he has absolutely no use for "thieves and criminals". Sadly for Bret, the marshal lumps professional gamblers in with "thieves and criminals". Bret must then try to find the treasure, all the while avoiding the watchful eye of the marshal. In the process we are presented with an at times brutal send-up of Gunsmoke. None of the regular characters are spared. Mort Dooley (played by Ben Gage) is the marshal in town, who owns "37.5 percent of the Weeping Willow saloon". Not only is he known for his skill with a gun, but he is more than willing to use it. Clyde Diefendorfer (played by Walker Edmiston) is Mort's none too bright deputy who talks with a hick accent and talks rather often. Doc Stucke is the town's undertaker. Miss Amy (played by Kathleen O'Malley) runs the Weeping Willow saloon and is often admonishing Mort to "be careful". Anyone who has seen even a few episodes of Gunsmoke will readily recognise the characters as somewhat exaggerated parodies of Marshal Matt Dillon, Chester, Doc Adams, and Miss Kitty. "Gun-Shy" doesn't simply take aim at the lead characters of Gunsmoke, but the show's conventions themselves. Just as many early Gunsmoke episodes began with Matt Dillon delivering narration from Boot Hill, so too does "Gun-Shy" feature Mort Dooley delivering narration from Boot Hill, although in Mort's case he appears to have just buried one of the many men he has shot. The famous opening of Gunsmoke in which Matt Dillon faces down a gunfighter on the streets of Dodge is also spoofed. At one point, when Mort Dooley decides he has had more than enough of Bret Maverick, he decides to shoot him in a scene that copies the opening of Gunsmoke almost exactly, except for the fact that Bret Maverick is fortunately out of range of Mort's six shooter. In another scene Mort and Doc discuss things that have absolutely no bearing on the episode, something that occurred from time to time on Gunsmoke. "Gun-Shy" even takes a poke at another popular Western that aired on CBS. In one scene Doc mentions to Mort "...that gunfighter who came into town passing out business cards to everybody," a clear reference to the popular Western Have Gun--Will Travel. While "Gun-Shy" is an extremely effective parody of Gunsmoke, one does not have to be familiar with Gunsmoke to enjoy the episode. In fact, the parodies of the Gunsmoke characters are actually peripheral to the story of Bret trying to find buried Confederate treasure. Much to Bret's chagrin he is not the only one who is trying to find the treasure, as a pair of colourful, if somewhat dodgy characters named Freddie Hawkins and Kenneth P. Badger are also trying to find it. Hawkins was played by the legendary Reginald Owen, then as now perhaps best known for playing Scrooge in MGM's A Christmas Carol. Badger was played by Gage Clarke, who had played Superintendent of Schools Mr. Bascomb on the classic sitcom Mister Peepers. The two are responsible for many of the laughs during the episode. "Gun-Shy" would not be the last time Maverick spoofed another TV show. As mentioned earlier, "A Cure for Johnny Rain" lampooned Dragnet. Later Maverick would parody Bonanza in the episode "Three Queens Full". Nor would "Gun-Shy" be the last time that Maverick took pokes at one of CBS's Westerns. In the episode "Hadley's Hunters", a bartender offers a weaponless Bart a sawed-off shotgun called "a Mule's Foot or something like that" left behind by a bounty hunter, a clear reference to the CBS Western Wanted: Dead or Alive (on the show bounty hunter Josh Randall, played by Steve McQueen, used a rifle with a shortened barrel called a "Mare's Leg"). "Hadley's Hunters" also featured cameos from the lead characters of every Warner Bros. Western TV show, and even Edd Byrnes from 77 Sunset Strip (I always thought he must have been Kookie's grandfather...). "Gun-Shy" is not necessarily the best episode of Maverick (that would probably be "Shady Deal at Sunny Acres"), but it certainly numbers among the very best of a show that was well known for the quality of its episodes.While it is most effective as a wicked lampoon of the TV show Gunsmoke, even those unfamiliar with that show will appreciate the episode for its humour and a rather interesting plot. Quite simply, "Gun-Shy" is a prime example of why Maverick was one of the best television shows ever aired. It's here! 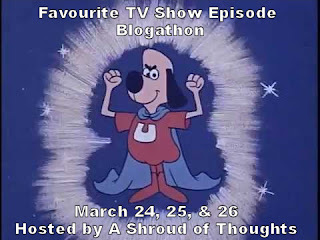 The 3rd Annual Favourite TV Show Episode Blogathon has arrived. This year we have a very good line up, with entries covering episodes of TV shows from the Fifties to the Nineties. For those of you who are participating in the blogathon, I ask that you link to this page. 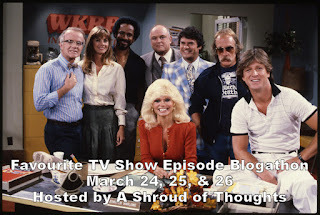 I will updating this page with links to the various blog posts that are part of this blogathon throughout the weekend. If you want a graphic for your post, I have several on the announcement page here. Anyhow, without further ado, here are the blog posts! Love Letters to Old Hollywood: Get Smart: "The Impossible Mission"
Caftan Woman: Wagon Train "Little Girl Lost"
John V's Eclectic Avenue: The Robinsons Encounter Some Strange "Invaders From The Fifth Dimension"
Kyle Robert Shultz: The Virginian "Ryker"
The Hitless Wonder Blog: Favorite TV Show Episode Blogathon--"Return Of The Cybernauts"
A Shroud of Thoughts: Maverick: "Gun-Shy"
If one were to ask most people to name a Bette Davis movie, chances are good that they might name Now Voyager (1942). It not only remains one of her most famous films, but it also contains what could be the most iconic moment in a Bette Davis movie--the scene in which Paul Henreid's character (Jeremiah Duvaux Durrance) lights cigarettes for both himself and Bette Davis's character (Charlotte Vale). Ultimately Now, Voyager would be Bette Davis's most successful film of the Forties. Now, Voyager was based on the 1941 novel of the same name by Olive Higgins Prouty. Both the book and the film centred on Charlotte Vale, an unmarried, plain, insecure woman dominated by her overbearing mother (played by Gladys Cooper in the film), who had married into the wealthy, respected Vale family. It is once Charlotte gets away from her mother that she blossoms, and even has a romance with a married man Jeremiah "Jerry" Duvaux Durrance. The novel was the third in a series of novels centred on the Vale family by Olive Higgins Prouty. Hal Wallis, who had been head of production at Warner Bros., made a deal with the studio to produce his own films. For his first film under the deal he bought the rights to the novel Now, Voyager. Amazingly enough, he only paid $40,000 for the film rights to the book. Initially, Mr. Wallis wanted Edmund Goulding to direct the film, but he dropped out due to illness. He then brought Michael Curtiz onto the project. Though it might seem hard to believe today, Bette Davis was not the first actress considered for the role. Taking into account her success in Love Affair (1939), Hal Wallis had initially wanted to cast Irene Dunne as Charlotte Vale. As it turned out, Norma Shearer was also interested in the role. Unfortunately for Hal Wallis, Irene Dunne and Norma Shearer would eventually become involved in other projects. Mr. Wallis then considered Ginger Rogers, who was fresh from winning an Oscar for Kitty Foyle (1940). It was Bette Davis's friend, director Irving Rapper, who told her about Hal Wallis's planned adaptation of the novel Now, Voyager. 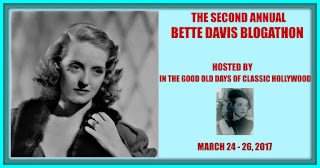 Bette Davis then began actively campaigning for the role of Charlotte Vale. Bette Davis argued that a native Bostonian, as she was, would better grasp what the role entailed than an actress who was not from Boston. Studio head Jack Warner worried that Bette Davis was not attractive enough to be convincing once Charlotte transformed into a glamorous woman. Bette Davis argued that the average woman would not identify with a more conventionally beautiful actress in the role. Hal Wallis agreed with Bette Davis and was eventually able to convince Jack Warner to let her have the part. The casting of Bette Davis would mean that Now, Voyager would have a new director. Miss Davis was not particularly eager to work with Michael Curtiz again, so he was removed from the film. She successfully lobbied Hal Wallis to hire Irving Rapper to direct the movie. As strange as it might seem now, Paul Henreid was not the original choice for Jerry. Initially Bette Davis thought Ronald Reagan would be good in the role, having been impressed by his performance in King's Row (1942). Jack Warner, Hal Wallis, and Irving Rapper convinced her otherwise, arguing that Ronald Reagan would not be able to hold his own with her. Paul Henreid was given a screen test for the role, although initially Bette Davis was not enthusiastic about him. In his screen test Warner Bros. had slicked down his hair and clothed him in a silk smoking jacket. When the two actors met, Paul Henreid told Bette Davis that he really disliked that screen test. Bette Davis then campaigned for him to have another screen test with a more natural look. This screen test pleased both Miss Davis and Warner Bros., and he was cast in the role of Jerry. For the role of Charlotte's mother Hal Wallis had wanted to cast Dame May Whitty. It was Bette Davis who insisted on Gladys Cooper for the part. For the role of Charlotte's psychiatrist Dr. Jaquith, Hal Wallis initially considered both Raymond Massey and Charles Coburn before deciding on Claude Rains. Claude Rains rejected the role until his part was expanded and he received $4000 a week. Bette Davis was very happy to have Claude Rains on the film, as he was one of her favourite people with whom to work. Now, Voyager premiered on October 22, 1942 in New York City. It went into wide release on October 31, 1942. The film received mixed to positive reviews, but did very well at the box office. It ultimately earned $2.2 million, making it the most successful of Bette Davis's films so far. When it came to the Academy Awards, Now, Voyager was largely overlooked. Bette Davis was nominated for Best Actress, but lost to Greer Garson for Mrs. Miniver (1942). Gladys Cooper was nominated for Best Supporting Actress, but lost to Teresa Wright for Mrs. Miniver. It did win an Oscar for the third category in which it was nominated--Max Steiner won the award for Best Dramatic Score for the film. 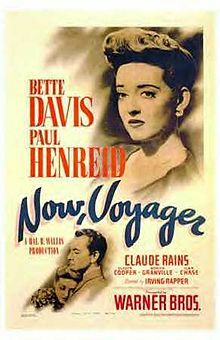 While Now, Voyager received only three Academy Award nominations and won only one, today it remains one of the best remembered films from 1942, as well as one of Bette Davis's best remembered films. Much of this is due to her performance as Charlotte Vale. Bette Davis did what would have been difficult for many actresses in Hollywood, she took Charlotte from being a insecure spinster to a more worldly, confident woman in the course of the film. Other actresses might not have been quite so convincing in the part. 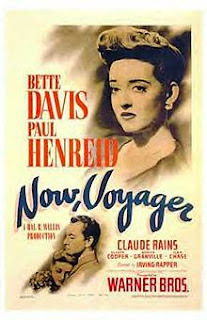 Beyond Bette Davis's performance, Now, Voyager largely succeeded because it appealed to women during World War II. Just as Charlotte became more independent during the course of the film, there were many women finding that they had to provide for their families while their husbands were serving in the war. Many women, now working in jobs generally reserved for men, could probably identify with Charlotte. While Now, Voyager is generally thought of as a "women's picture", it also had an appeal for both sexes in one respect. Bette Davis received letters from both women and men who had been dominated by their mothers. While Bette Davis made many more films for Warner Bros., as well as many more films with Irving Rapper, Now Voyager would remain her biggest success during the Forties. Indeed, today it still remains one of her most famous films. Bernie Wrightson, the legendary comic book artist known for his work on various horror titles and for co-creating Swamp Thing with writer Len Wein, died on March 18 2017 at the age of 68 after a long battle with brain cancer. Bernie Wrightson was born on October 27 1948 in Dundalk, Maryland. He took an interest in art and comic books while very young. He was a fan of E.C. Comics. He studied art through correspondence courses from he Famous Artists School. In 1965 he had fan art published in Warren Publishing's Creepy #9 (June 1965). It was a drawing of a tombstone inscribed n "Berni Wrightson, Dec. 15, 1965." In 1966 he went to work for the Baltimore Sun as an illustrator. Bernie Wrightson's first professional work in comic books appeared in DC Comics' House of Mystery #179 (March/April 1969) in the story "The Man Who Murdered Himself" and in The Spectre (March/April 1969) in the story "You Have Failed, Spectre". For the remainder of 1969 Mr. Wrightson did a good deal of freelance work for DC Comics, with stories published in such titles as Showcase, The Witching Hour, House of Mystery, and The Unexpected. He continued to do a good deal of work for DC Comics in 1970, while at the same time publishing work in Major Publications' Web of Horror, Marvel Comics' Chamber of Darkness and Tower of Shadows. In 1971 Bernie Wrightson continued to do a lot of work for both DC Comics and Marvel Comics, as well as work on such titles as Imagination (published by Imagination Publishing). In House of Secrets No. 92 (July 1971) saw the first appearance of Swamp Thing in the story "Swamp Thing" written by Len Wein and drawn by Bernie Wrightson. Set in the Victorian Era, the story centred around a scientist who is transformed into a monster made of muck and vegetable matter. The story proved so successful that Swamp Thing was given his own title, although it was updated to modern times. Bernie Wrightson drew the first ten issues of Swamp Thing. It ran for 24 issues from 1972 to 1974. In 1972 he published the single issue anthology Badtime Stories. From 1972 to 1974 Bernie Wrightson did most of his work for DC Comics. In addition to Swamp Thing, he worked on such titles as House of Secrets, Batman, House of Mystery, Weird Western Tales, Weird Mystery Tales, Weird Worlds, Sword of Sorcery, Plop!, Superman, and The Shadow. In 1974 he began working for Warren Publishing. He worked on their titles Creepy, Vampirella, and Eerie. In the late Seventies, while continuing to work for Warren Publishing, he did work for both DC Comics (House of Mystery, Batman, Jonah Hex) and Marvel (Kull and the Barbarians, The Incredible Hulk, Tomb of Dracula). He also contributed work to the magazine Heavy Metal, including stories featuring Captain Sternn, who would later appear in the feature film Heavy Metal (1981). In 1975 he, Jeffrey Catherine Jones, Michael Kaluta, and Barry Windsor-Smith formed The Studio, in which they sought commercial work beyond comic books. Mr. Wrightson also did work for posters, calendars, prints, and so on. Stephen King's Creepshow. He provided artwork for the magazine 1984. In the Nineties Bernie Wrightson continued to provide work for both DC Comics and Marvel Comics, as well as work for Apple Comics' Big Bad Blood of Dracula and programme books for various conventions. The Naughts saw Mr. Wrightson continue providing work for DC Comics, as well as providing work for Dark Horse Comics, IDW Publishing, and TwoMorrows Publishing. He continued to provide work for IDW Publishing in the Teens, as well as some work for DC Comics. He retired in January 2017. Bernie Wrighston also did work for various motion pictures in his career. He was a creature design consultant on Ghostbusters (1984). He did design work on such films as Thir13en Ghosts (2001), The Mist (2007), and Riding the Bullet (2004). I have been a fan of Bernie Wrightson for nearly my whole life. As a lad I read a number of DC Comics' mystery titles (a euphemism for horror comic books in the days of the Comics Code), including House of Mystery, House of Secrets, and House of Mystery. When I was older I was exposed to his work with Warren Publishing and Heavy Metal. What struck me about Bernie Wrightson's style is that, not only was it very realistic, but it was also very detailed. His Swamp Thing was a sinewy mass of vines, vegetable matter, and muck. His artwork was intricate, and no one matched his line work. He excelled in the horror genre. If anyone was born to illustrate Edgar Allan Poe's stories, it was Bernie Wrightson. Of course, Bernie Wrightson was also versatile. He not only co-created Swamp Thing, but Captain Sternn. While his work for Swamp Thing was fairly realistic, his work on Captain Sternn owed more to Warner Bros. cartoons and caricatures. If one did not know better, he or she would have a hard time believing that the same artist did both. Bernie Wrightson was one of the best comic book artists to emerge from the Seventies, combining an attention to detail with versatility. Rock 'n' roll legend Chuck Berry died on March 18 2017 at the age of 90. Chuck Berry was born on October 18 1926 in St. Louis. He grew up in The Ville, a historic and largely middle-class neighbourhood in the north of the city. He took an interest in music while still young, and gave his first public performance when he was about 15 and still in high school. He served time at the Intermediate Reformatory for Young Men at the Algoa Correctional Centre near Jefferson City for a series of car thefts and armed robbery. He was released after three years on his 21st birthday. After marrying Themetta "Toddy" Suggs in 1948, Chuck Berry trained as a hair stylist at the Poro College of Cosmetology in St. Louis. He worked for a time as a beautician. By the early Fifties he was playing with various bands in St. Louis. It was in 1953 that he joined pianist Johnnie Johnson's Sir John Trio. Chuck Berry not only added vocals to the group, but also incorporated country songs into their repertoire of ballads and blues. He even reworked Western Swing musician Bob Willis's version of "Ida Red' for the group. Chuck Berry and the Sir John Trio proved very popular at St. Louis's Cosmopolitan Club, playing to audiences that included people of European American as well as African American descent. It was in May 1955 that Chuck Berry travelled to Chicago. It was there that he asked the legendary Muddy Waters about recording. Muddy Waters directed him to Leonard Chess and his label Chess Records. Chuck Berry thought Mr. Chess would be most interested in his various blues songs, but instead he was drawn to Chuck Berry's version of the traditional country tune "Ida Red". It was then on May 21 1955 that Chuck Berry recorded a variant of "Ida Red" under the title of "Maybellene". Johnnie Johnson played piano on the track, while Willie Dixon played bass. "Maybellene" proved to be a hit, reaching number one on the Billboard rhythm and blues chart and number five on the Billboard singles chart. Chuck Berry's next two singles, "Thirty Days (To Come Back Home)" and "No Money Down", reached the top ten of the Billboard rhythm and blues chart. His fourth single, "Roll Over Beethoven", not only reached number 2 on the Billboard rhythm and blues chart, but peaked at number 28 on the Billboard singles chart. It has since become a rock music standard, covered by bands ranging from The Beatles to the Electric Light Orchestra. His next crossover hit, "School Day (Ring! Ring! Goes the Bell)", would do even better on the charts. It reached no. 1 on the Billboard rhythm and blues chart and no. 3 on the Billboard singles chart. It was with "Rock and Roll Music" that Chuck Berry released a string of singles that were hits on both the Billboard rhythm and blues chart and the Billboard singles chart. "Sweet Little Sixteen" and "Johnny B. Goode" would prove to be huge hits. "Sweet Little Sixteen" reached no. 1 on the Billboard rhythm and blues chart and number 2 on the Billboard singles chart. "Johnny B. Goode" reached no. 2 on the Billboard rhythm and blues chart and no. 8 on the Billboard singles chart. Unfortunately "Johnny B. Goode" would be his last huge hit for some time. While the songs Chuck Berry released in the latter part of 1958 and the early part of 1959 did well on the Billboard rhythm and blues chart, they performed poorly on the Billboard Hot 100. A scandal involving a 14 year old waitress eventually resulted in his arrest for violating the Mann Act after several trials, and he spent one and a half years in prison from February 1962 to October 1963. Perhaps because of the scandal, many of his songs from late 1959 to 1961 did not even chart. It would be 1964 that would see a comeback for Chuck Berry. His single "Nadine" peaked at no. 7 on the Billboard rhythm and blues chart and no. 23 on the Billboard Hot 100. His single "No Particular Place to Go" performed even better, peaking at no. 10 on both the Billboard Hot 100 and the Billboard rhythm and blues charts. His single "You Never Can Tell" peaked at no. 14 on the Billboard Hot 100. Chuck Berry's other singles released in 1964 also did relatively well. Unfortunately Chuck Berry's comeback would be short lived. While he continued to do well playing concerts, he had no more hits for the remainder of the Sixties. In fact, it would not be until 1972 that he would have another hit. "My Ding-a-Ling" became his only record to reach no. 1 on the Billboard Hot 100. It was followed by "Reelin' and Rockin'", which peaked at no. 27 on the chart and was his very last hit. Chuck Berry released several albums throughout his career. His first album, After School Session, was released in 1957. He continued to release albums throughout the Sixties and the Seventies. His album Rock It, released in 1979, would be his final album until his last album Chuck, is released later this year. On May 31 1961 Chuck Berry opened his own amusement park, Berryland, outside St. Louis. It would close later that year. In the 1980s Chuck Berry bought the restaurant The Southern Air in Wentzville, Missouri. The restaurant would close not long after controversy erupted following claims that Chuck Berry had installed a camera in the women's restroom. Chuck Berry elected to settle a class action suit consisting of 59 women, although his guilt in the case was never proven in a court of law. Chuck Berry continued to tour throughout the Seventies, Eighties, and Nineties. From 1996 to 2014 he performed one Wednesday a month at Blueberry Hill, a restaurant in University City, Missouri. Regardless of whatever Chuck Berry might or might not have done in his personal life, there can be no doubt that he had a huge impact on rock music. In fact, a strong argument can be made that Chuck Berry was one of the inventors of rock 'n' roll. Growing up in St. Louis where he was exposed to the blues, rhythm and blues, country, and Western music, he blended them together to create a whole new sound. The roots of Chuck Berry's rock 'n' roll can be traced back to such diverse artists as Muddy Waters, Nat King Cole, T-Bone Walker, Bob Willis, and Bill Monroe. Beyond blending various music genre into rock 'n' roll, it is because of Chuck Berry that the guitar would become the primary instrument of rock music. Guitars solos were a central feature of Chuck Berry's songs and would continue to be characteristic of rock music forever afterwards. What is more, Chuck Berry utilised a clearer electric guitar sound than earlier rock 'n' roll artists. He often utilised electronic effects in his songs. Chuck Berry would even shape the subject matter of rock 'n' roll for years to come. Mr. Berry's songs were directed towards teenagers, with references to school, dances, fast cars, good times, and, of course, rock 'n' roll. What is more, his songs were always done with a sly sense of humour, so that one did not have to be a teenager to appreciate them. Indeed, many of his songs were essentially stories. 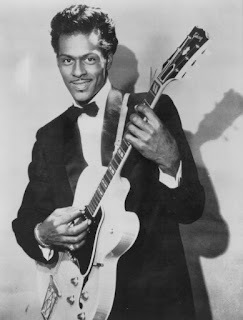 Chuck Berry not only provided much of the subject matter of early rock 'n' roll, but he also introduced a new level of showmanship to the fledgeling genre as well. With his swagger and trademark duck walk, Chuck Berry influenced rock performances for decades to come. In the end it would be difficult to find an artist who influenced rock music more than Chuck Berry. Indeed, it would be difficult to find an artist or band that did not feel Chuck Berry's impact. Bob Dylan, The Beach Boys, The Beatles, The Rolling Stones, and many others were influenced by Chuck Berry. His influence can be seen in entire subgenres of rock music, from power pop to punk. While Elvis Presley might have been rock 'n' roll's first superstar, arguably it would be the Brown Eyed Handsome Man who would have the bigger influence on rock music. Ultimately, rock music might simply not have been possible without Chuck Berry. Most Americans when asked the question, "Who was the first British artist to top the American singles charts? ", would probably reply "The Beatles." They would also happen to be wrong. That honour would go to Dame Vera Lynn, who topped the Billboard singles chart on July 12 1952 with "Auf Wiederseh'n Sweetheart" nearly eleven years before The Beatles arrived in the United States. It remained at the top of the chart for nine weeks. There should be little wonder that Dame Vera Lynn would be the first British artist to top the American charts, as she is easily one of the most popular British recording artists of all time. Her first single, The General's Fast Asleep", was released in 1935. It was in 1939 that her recording of "We'll Meet Again" made her a superstar. It proved to be one of the most popular songs of the World War II era and perhaps the song most associated with Dame Vera Lynn. Later Dame Vera Lynn's recording of the song would be used as the closing song of the classic film Dr. Strangelove or: How I Learned to Stop Worrying and Love the Bomb (1964). By 1941 Dame Vera Lynn had her own radio show, Sincerely Yours. During World War II she toured Egypt, India, and Burma, entertaining the troops. Although she is now strongly identified with World War II, Dame Vera Lynn continued to be successful well after the war. When the New Music Express compiled the first ever British singles chart in 1952, Dame Vera Lynn had no less than three entries in the top twelve for the year: "The Homing Waltz", "Auf Wiederseh'n Sweetheart", and "Forget Me Not". Her song "My Son, My Son" became her first number one on the British singles chart in 1954. In 1967 "It Hurts To Say Goodbye" proved to be a hit for Dame Vera Lynn in several countries, including the United States. Ultimately Dame Vera Lynn would be the only artist to have hits on the British singles and album charts since their very beginning in 1952 into the 21st Century. She is also the oldest living artist to have a hit on the British album chart. The greatest hits album We'll Meet Again: The Very Best of Vera Lynn topped the chart in September 2009, when Dame Vera Lynn was 92. Her new album, Vera Lynn 100, is currently burning up the British album chart, so that ultimately Dame Vera Lynn might break her own record. Of course, Dame Vera Lynn is not only revered by the British public for her success as a recording star. She entertained British troops during World War II. In 1958 she formed a charity for The Stars Organisation for Cerebral Palsy. In 1976 she founded the Vera Lynn Charity Breast Cancer Research Trust. She has also dedicated time to charities for ex-servicemen and disabled children. Between her success as a recording star and her considerable charity work, Dame Vera Lynn was made a Dame Commander of the Order of the British Empire (DBE) in the 1975 Birthday Honours. In 2000 Dame Vera Lynn topped a poll of Brits who best exemplified the spirit of the 20th century. At 100 years old Dame Vera Lynn definitely has the one of the longest careers of any singer anywhere. And as demonstrated by the success of her current album, she is still extremely popular. Indeed, short of perhaps The Beatles or The Rolling Stones, it would be difficult to find any British recording star who has had the success of Dame Vera Lynn. In honour of Dame Vera Lynn's 100th birthday, here is perhaps her most famous song, "We'll Meet Again". Film historian and Turner Classic Movies host Robert Osborne died on March 6 2017 at the age of 84. He was survived by his partner, stage director and producer David Staller; his family; his friends; and a legion of adoring fans. Robert Osborne was something special, both to those who knew him personally and the many who only knew him as the host of Turner Classic Movies. His importance to the classic film community cannot be overestimated. 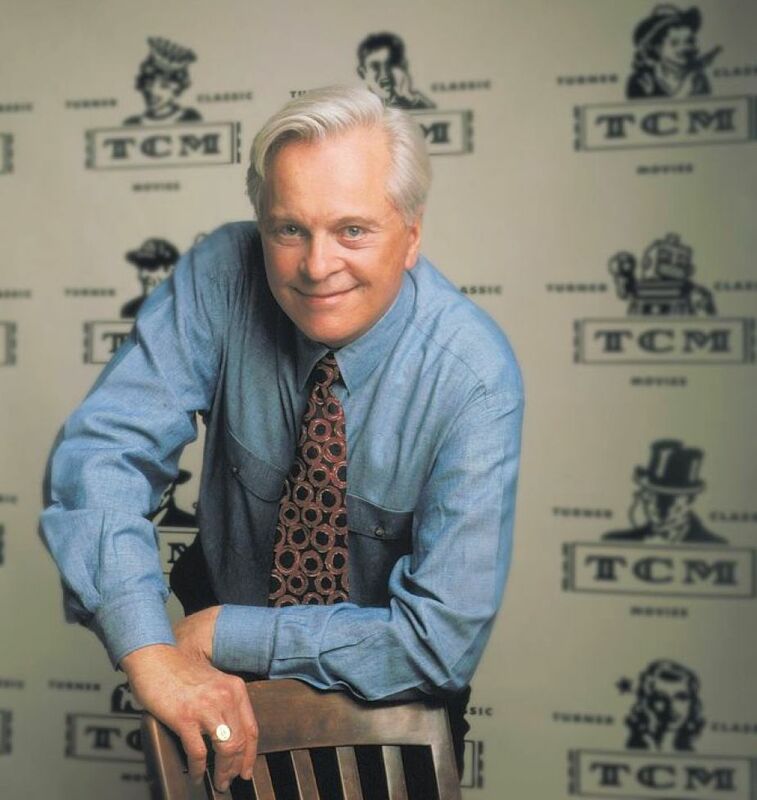 With the perfect combination of charm, class, and an encyclopaedic knowledge of film history, Robert Osborne not only ensured that Turner Classic Movies would be a success, but he introduced an entire new generation to classic film. Those who knew him personally always had the same thing to say of Robert Osborne, that he was a consummate gentleman. No one ever heard a bad word said of Robert Osborne. He was known not only for his class and charm, but for his kindness, his warmth, his respect for others, and his integrity. In honour of Robert Osborne I thought I would put together a small collection of tributes to him from my fellow classic film buffs, as well as links to the many tributes to him that have been published since his death. When Robert Osborne interviewed classic film stars, he served as a sort of surrogate for his audience. Our love for these legends flowed through him. He was so courtly and kind, especially with the ladies, who are always held up to so much more scrutiny in their later years. With the added difficulties of age, from frailty to fading memories or hearing, he always managed to read the emotions of his subjects, calibrating his tone and approach perfectly. He seemed incapable of being offensive or inappropriate. I think he had inherent charm. Osborne had a taste of the acting life, and devoted his career to entertainment and the history of cinema. It gave him more compassion. He understood when a much-desired interview subject, having already given so much to the public, no longer saw the benefit in traveling to a film festival or a television studio to give more. For that reason he was adored and trusted. My memory has been pretty sketchy lately, and I have not much to fall back on since my MacBookPro failed last week. 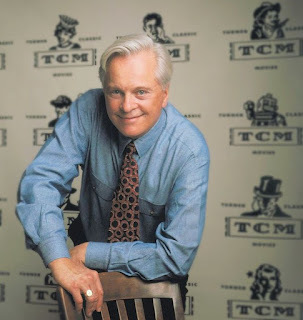 But I do remember most vividly some of the few times I saw Robert Osborne in person at the 2013 TCMFF, and his extraordinary grace and unflappability. He alluded the darker side of Old Hollywood with a reference to the "5 o'clock girls," one of whom he said Marilyn Monroe had been. He was a bridge to the studio era, he knew everyone, or someone who had known them. He was a total authority, but he carried it lightly; he had this way of disagreeing with or correcting people that was so smooth you barely noticed it. He absolutely knew what I was just starting to understand: he and TCM were important, and that he, as the channel's standard bearer and most important face, was helping viewers through unemployment, illness, grief, divorce, family issues...whatever was going on. He and TCM were also bringing people together on- and off-line, and he got that too. He knew about TCM Party, the live tweet of TCM I started, and I was just shocked and delighted to hear him mention it. Later I saw him in the lobby of the hotel, and I feared for his safety. No, seriously. To say he was mobbed would be an understatement. I always thought the first thing I'd ask him was whether he needed security on the TCM Cruise. There's not much place to hide on a ship in the middle of the ocean. Next year, I said. Next year I'll talk to him. I was too afraid this year, but next year, I'll definitely go right up to him and talk to him. But it didn't happen. By the time the TCMFF 2014 rolled around, my husband and I had a movie theatre of our own, and I had this idea that if I programmed some classics, people would show up. This idea was wrong, as it turned out, but to my eternal regret, I stuck to the multiplex, checking out possible bookings, during what is now the de facto farewell to Mr. Osborne, the surprise tribute at the Montalban Theatre. In my defense, it was listed as a Q & A in the schedule, and it was a total surprise, even to him apparently. In retrospect, he seemed in very good health in 2014, but he missed the 2015 fest, and was seen so infrequently on the channel itself, that by the time the 2016 fest rolled around, I wasn't really expecting him to be there, and he wasn't. So I missed out meeting and chatting with him on this plane of existence. I hope there is a classic movie section of Heaven, maybe I can finally meet him there. I can't help but think it's a shame that he never wrote a tell-all. Robert Osborne had forgotten more about Hollywood and its denizens than most anyone else ever knew. The changes in society and the industry he witnessed in his lifetime were massive and so was the institutional knowledge of Old Hollywood that went with him. But that wasn't his style. He epitomized elegance and discretion, and we'll never see his like again. Over the years I often saw interviews with Robert Osborne where he talked about comforting fans during times of illness. He didn’t visit them in person, of course, but he did come into their homes (or hospital rooms) three or four times every night, thanks to his job as host of Turner Classic Movies. It makes sense. For those of us who grew up loving them, old movies are comfort food. They’re the best pick-me-up, tranquilizer, insomnia treatment, companion, family heirloom. Whatever you need it to be tonight, that’s what a classic film is. And Robert was like that friend who can always be counted on to bring flowers when you’re under the weather. Except his bouquet was filled with movies. I always figured, “How nice it is for the older folks, that they have Robert when they’re ill.” And then I got sick. It wasn’t planned, of course; these things never are. But it happened, and there I was in the hospital for weeks on end. It was December, cold and dark, and I was scared. But there was Robert Osborne on TCM every night, excited to show me a film I had never seen, or seen a million times. Years later, I met him. I shook his hand. He smiled warmly, like he had waited his whole life to meet me.